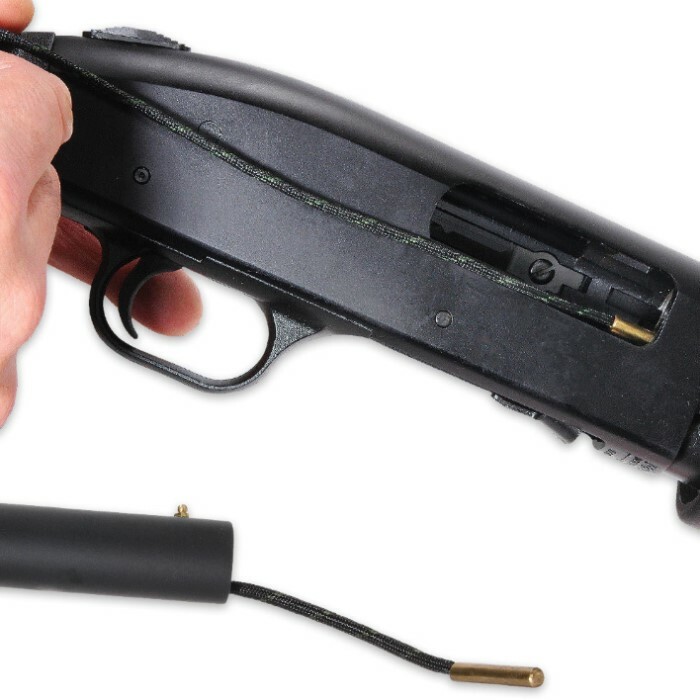 QwikDraw Barrel Cleaning Rope - 22 Caliber | BUDK.com - Knives & Swords At The Lowest Prices! Specifically made for 22 cal. 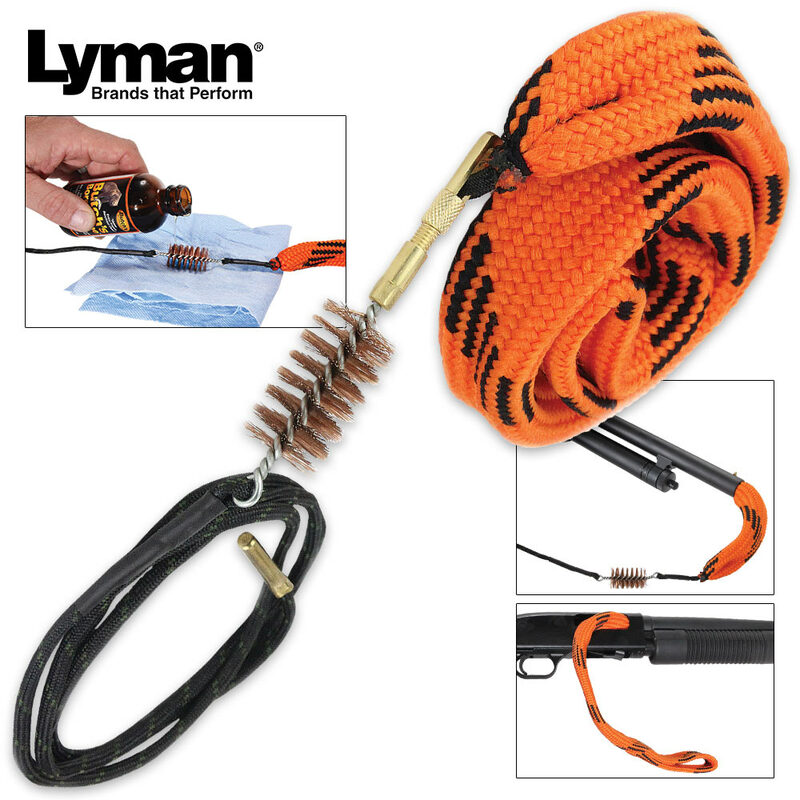 The Lyman QwikDraw Barrel Cleaning Rope is a fast, all-in-one cleaning tool that reduces your cleaning time to a fraction of what it would be with a traditional cleaning rod. It combines a traditional bronze brush with the scrubbing action of a long bore cleaning rope to quickly clean the dirtiest bore. Simply apply some of your favorite cleaning solution to the rope, drop the weighted end of the pull cord into your chamber and let it slide out of the barrel. Then, pull the brush and rope through the bore for an easy, fast cleaning.